More than Two thousand years ago, ancient Chinese people discovered that the body forms disharmonies as a result of the various physical and mental stresses of life. Chinese medicine theory explains these disharmonies as an imbalance of opposing forces (yin and yang). This imbalance disrupts the movement of the body’s vital energy (qi) along the meridian pathways or channels, through which the body’s energy is thought to flow. Acupuncture restores the smooth flow of qi by inserting and manipulating hair-thin needles at specific points, which is able to return the body to its natural balance and promote the body’s ability to heal itself. We use a holistic approach, working with each individual to customize the treatment to individual needs. As a result, our acupuncture and herbal prescriptions help a variety of conditions, including pain management, women’s health issues such as menstrual problems and menopause, diet, weight loss, infertility and more. We cordially encourage you join us and witness the wisdom of this ancient medicine, which understands the connections between the body and the spirit. Huiling Tang (PhD, L Ac.) graduated from Beijing University of Chinese Medicine, granted the Medical Bachelor degree of Traditional Chinese Medicine and Doctor degree of Integrative Medicine. Huiling is licensed by the state of Georgia and South Carolina and is recognized by the National Certification Commission for Acupuncture and Oriental Medicine (NCCAOM). Huiling came to the United States in 2011 and has worked in the Brain Research Lab of Department of Emergency Medicine, Emory University as a Post-Doctoral Fellow for three years. Currently, She teaches Chinese Herbal Medicine at School of Acupuncture and Oriental Medicine, Atlanta University of Health Science. Huiling’s education and training in both oriental and western medicine are unique and exceptional, which benefits her acupuncture practice . With the understanding of Traditional Chinese Medicine and western medicine, she believes regaining the balance and harmony of Yin and Yang is the key to get rid of exogenous pathogenic factors and promoting recovery from diseases. By applying acupuncture and herbs accordingly, the inner energy will be stimulated to adjust the excessive and the deficiency of the body to restore the inner balance. Lianying He (PhD, LAc) graduated from Beijing University of Chinese Medicine, with a Medical Bachelor degree in Traditional Chinese Medicine (TCM). In addition, Lianying received PhD degree in Translational Medical Science from Nagoya City University Graduate School of Medicine in Nagoya, Japan. 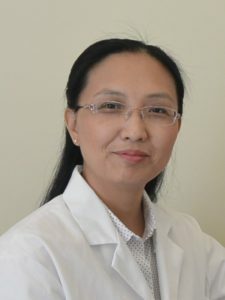 She is a Licensed Acupuncturist in the state of South Carolina and Georgia, she is certified by the National Certification Commission for Acupuncture and Oriental Medicine (NCCAOM) in the United States. Lianying has completed her internship and residency in the Department of Traditional Chinese Medicine at Beijing Hospital in Beijing, China. As one of the top level hospitals in China, Beijing Hospital has one of the best TCM departments. 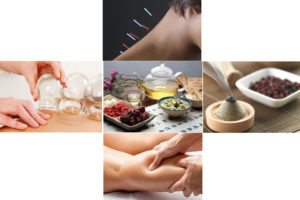 Under the supervision of top level TCM experts in the country, Lianying has practiced acupuncture and herb medicine in this department. In her PhD studies in Japan, Lianying has focused on the immunological mechanisms of the interaction between antigen and antibody in the disease such as hepatitis and HIV. 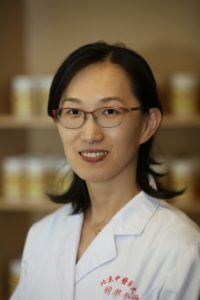 After she came to the US as a postdoc in the Medical College of Georiga, Lianying studied the gene expression of inflammatory factors in the hypertension of young patients, and then shifted gears to study the immunological response to the inflammatory in the peripheral neuronal injury and regeneration. Her work has drawn international attention, has been published on the international journals and presented on the professional meetings in both immunology and neurology field. The training and research in both clinical and basic medicine helped Lianying to further understand the inflammatory response, which plays an important role in many fields such as pain management, arthritis, and neurological recovery. With acupuncture and herb medicine, the disturbed inner energy force known as Qi in the body will be restored and maintained, and yin/yang will be balanced. As the result, the anti-inflammatory responses will be stimulated and activated to aid in the prevention or cure of the diseases.